Tune in starting 12pm this Sunday for WKCR's annual Country Music Festival! This year's theme is Texas Country, so expect to hear music by country music legends such as Ernest Tubb, Willie Nelson, and Waylon Jennings, but also by lesser-known artists hailing from the Lone Star state. Listeners will have the opportunity to learn more about the state's vibrant regional scenes, with segments dedicated to the music of Austin, Lubbock, and Luckenbach, as well as to various musical sub-genres, from Western Swing to Border Country. 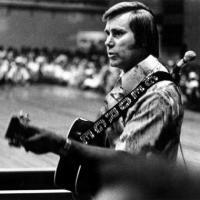 The festival will conclude on Tuesday night with an 8-hour tribute to honor the music and memory of George Jones, who passed away last year.